What do you call a nurse who combines the compassion of Mother Teresa with the coolness of a CSI investigator? 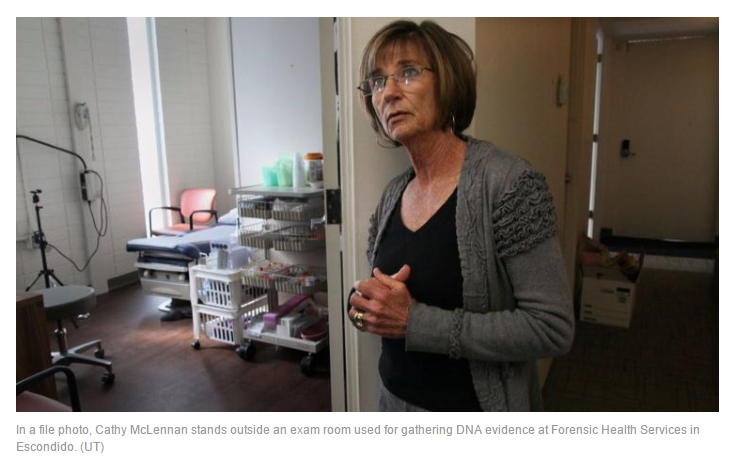 You can call these nurses saints or you can call them detectives, but the double-barreled job title is forensic nurse. There ought to be a TV crime show to glorify the (mostly) women doing both the Lord’s and the DA’s work. This division of Palomar Health is a largely unsung heroine of our criminal justice system. To access the entire article, click here.